When a corporation or limited liability company is involved in a transaction, the opinion letter usually makes a representation as to the “existence” or “good standing” of the entity, which is why due diligence checklists usually require a Certificate of Good Standing from the entity’s home state and any state where it is registered to do business. Those who sign off on the opinion letter, as well as those who provide the required documentation, need to keep in mind that all good standing certificates are not equal. A long form Certificate of Good Standing confirms the status of the entity and lists all documents on file. Certified copies of those documents are not automatically attached and must be requested with the certificate if they are needed. A standard (sometimes called a “short form”) Certificate of Good Standing reflects the existence and status of an entity, but does not list what documents have been filed. A number of states do not issue “Good Standing Certificates” that attest to the status of the entity, but instead issue certificates that simply certify that the entity exists in the state’s records (i.e. Existence or Subsistence Certificates or a Certificate of Fact). 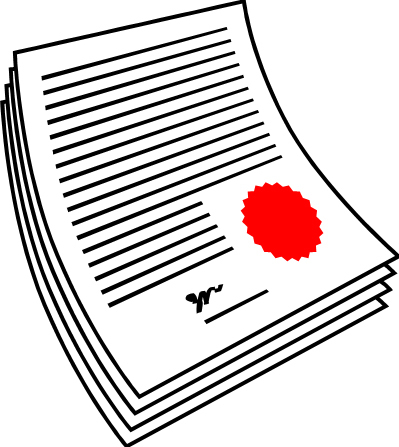 It is important to read the certificate you receive to understand what the state is certifying. There are many states that offer long form certificates for domestic entities, including Delaware, D.C., Michigan, North Carolina, New York, New Jersey, Nevada, Texas and Virginia to name a few. A large number of states, however, only offer a short form Certificate of Good Standing. Of those states, a few, including Arizona, California, Georgia and Mississippi, offer “Certificates of Listing” or a “Certificate of Entity History” that recite the documents filed, but do not indicate good standing status. This certificate can be combined with the short form Certificate of Good Standing to get essentially the same result as a long form good standing. For the other states that only offer a short form, the best that can be provided is the standard certificate, which attests to the existence and/or status of an entity, and a certified copy of all charter documents. The certified copy will often be accompanied by a state issued certificate indicating that the copies attached represent all the documents filed for a particular entity. Whether you are obtaining a long form or short form Certificate of Good Standing, it’s important to be aware that the certificate issued only indicates that the entity exists, and has complied with the requirements of the company registrar (usually the Secretary of State in the U.S.). In most cases, the certificate will not indicate whether the entity has fulfilled its necessary tax obligations, even when failure to fulfill these obligations can cause an entity’s good standing to be revoked. Some states like Delaware and Tennessee provide certain tax information on the Secretary of State-issued Certificate of Good Standing. In Illinois, the Department of Revenue can tag an entity on the records of the Secretary of State that is not current in the payment of taxes, preventing the issuance of a good standing for the company. In some states, however, an additional public records search is required to verify whether the entity is in good standing with the tax or revenue department, because non-payment will affect the company’s standing. For example, in New York or California, the certificate issued by the Secretary of State attests only to the existence of the company in the state’s records. Yet, the company may be delinquent in paying its franchise taxes, a condition that could cause its good standing to be revoked the next day. In these states, an additional search at the tax department will reveal if the company is current in the payment of franchise taxes. Running a search regarding payment of taxes is not always simply a matter of submitting a request. In most states in the U.S., information on the payment of taxes is not public record and requires that the company consent to its release. Luckily, in the majority of these states, companies are not removed from the state record for non-payment of taxes. There are, however, a handful of states, including North Carolina, South Carolina and Missouri, where the entity is administratively dissolved or suspended by the state if taxes are not paid, but tax information is not public record. As you can see, because the laws and information provided vary so greatly from state to state, there is no one-size fits all approach to obtaining a Certificate of Good Standing. Depending on your reason for obtaining the certificate, you may want to confirm what information you will get from a particular state. And you may also want to search tax records for both domestic and qualified entities, where possible, to ensure that the company is not in danger of losing its good standing status before the legal opinion is delivered. Finally, remember that a Good Standing Certificate reflects the records of the filing office on the day that it was issued. Status can sometimes change unexpectedly, and not just for non-payment of taxes. A senior paralegal at a major law firm recently told me of a situation she came across that illustrates this point. When requesting a good standing for a client company, the paralegal learned that the company (we’ll call it “ABC and Company, LLC”) had been accidentally cancelled! An attorney for another firm and a different client had been asked to cancel a number of entities whose names were quite similar to ABC and Company, LLC. Mistakenly believing that ABC and Company LLC was part of this group of entities, he cancelled that one as well! While the company was able to address the issue by filing a Certificate of Correction, this tale proves that entities can lose their good standing status in unexpected ways! One way to ensure that the good standing opinion accurately reflects the current record is to request “verbal bring-down good standings”. These are provided by service companies where they contact the filing officer on the day of closing to verify the good standing status of the entity and provide written confirmation. The bottom line is this: When you are verifying the status of a company, it’s important to understand what information is provided and how quickly it can change. To ensure that the status hasn’t changed between the time you obtained the Good Standing Certificate and the closing, best practice is to obtain bring-down searches.